When Chrysler owners need auto repair in Boonville and Columbia, they choose Midwest Autoworx. Our accomplished team of auto mechanics provides fast and dependable Chrysler services because our goal is to get you back on the road feeling comfortable. Once you enter our facilities for Chrysler repair, you’ll notice right away that the owner, James Copeland, and his team provide honest and fair auto repair and customer service. The team of auto mechanics at Midwest Autoworx loves solving even the trickiest of auto repair problems. 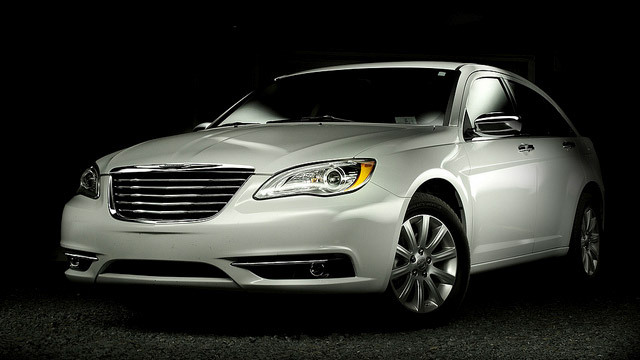 Your Chrysler will be in the most capable hands in the Boonville and Columbia region. Often our mechanics can repair things that other auto repair shops and dealerships might miss. We also are aware that clients are in different financial situations, which is something that James and his team are sensitive to and strive to work within your budget. For Chrysler services, call Midwest Autoworx or schedule an appointment online. We’re located at 2001 Rangeline Street in Columbia, MO 65202 and 1300 W. Ashley Road in Boonville, MO 65233. Our professional and qualified auto mechanics will provide you with the most quality Chrysler auto repair in the region. We look forward to your visit!